The Arlington Middle School Boys Basketball Team hosts their season opener on October 27 at 4:30 pm against Schilling Farms. Coach Lang Wiseman, in his fifth year with the Bobcats, hopes to compete again for a District title. Last year’s team went undefeated in regular season and district play, clinching the District and County Championships before falling in in the state semifinals. “We have plenty of size and athleticism to be able to compete with anyone we play,” Wiseman commented. “We’re short on experience, though, so the season will be a work in progress.” Wiseman also credits the dedication of his assistant coaches, DJ Daughtery and Rod Davis, for the program’s success. A key player returning to the team is point guard Sam Wiseman,who earned All-District Tournament Team honors in 2014. Wiseman was the leading scorer in last Saturday’s Jamboree matchup with Collierville with 12 points. The Bobcats defeated the Dragons 18-16. The Arlington Middle School Girls Basketball team will then take on last year’s Regional Champs when they host Schilling Farms after the boys’ game. With only one returning starter–5’11” Morgan Richardson–Coach Annette Jeter says that the team’s inexperience is its weakness in defending their 2014 District title. Jeter adds that though young, the team is eager to play hard through a tough schedule against experienced foes. 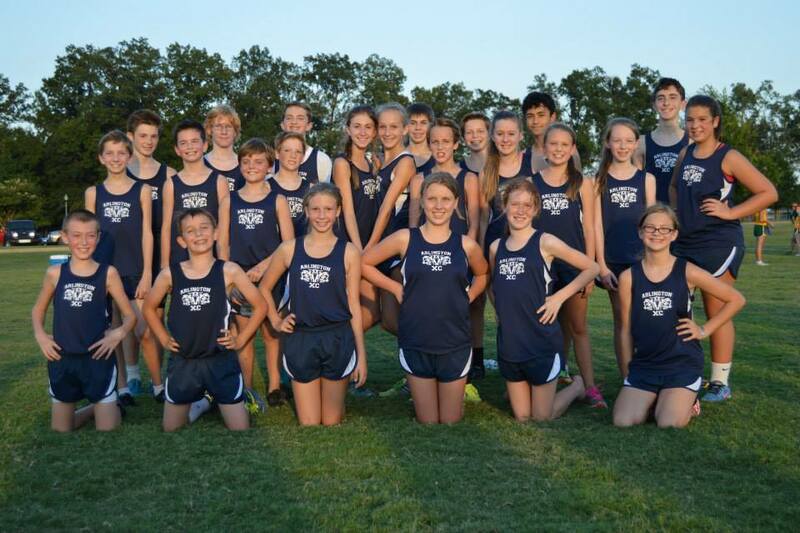 Arlington’s 2014 Middle School Cross Country Teams. Photo courtesy of AMS Cross Country. The Arlington Middle School Cross Country team, under the direction of coaches Kelly Henson and Jeremy Biggs is off and running. To the state championships, that is. 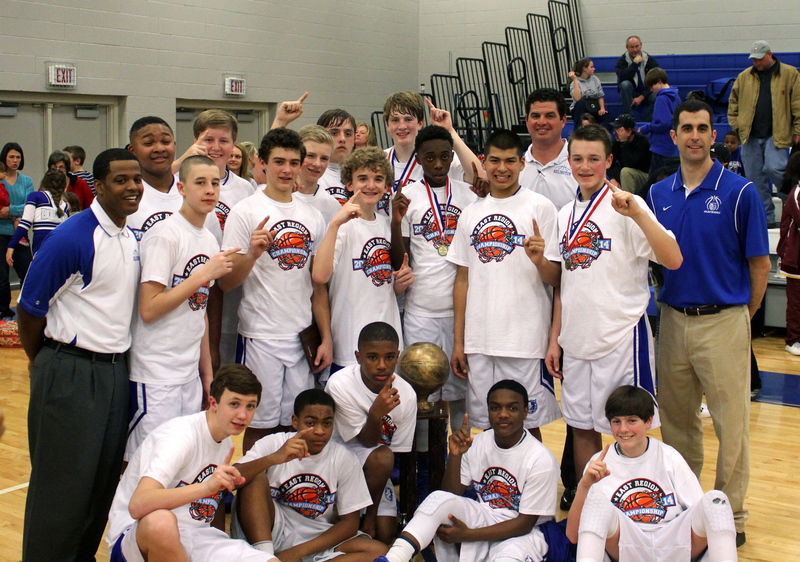 The Arlington Middle School Boys and Girls teams brought home not one, but two North District Middle School Basketball titles last month. 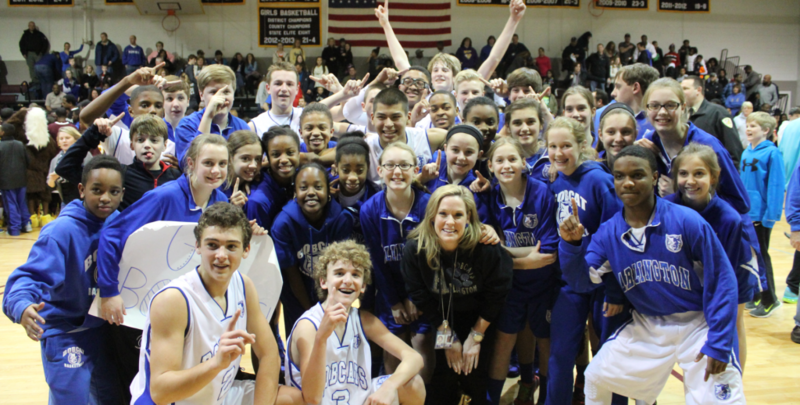 This was the first District Championship for the girls, while the boys were repeat champs. For the girls, Trenity Hill and Tournament MVP Sarah Grandberry were selected to the All-District team. At the County level, the girls lost in the first round of the regional playoffs to a tough Germantown team. The Bobcats finished third in the regional tournament; Trenity Hill was named to the Region All-Tournament team. The boys defeated Shadowlawn and Mt. Pisgah to earn their first-ever County Championship Title and their second trip to the state tournament. 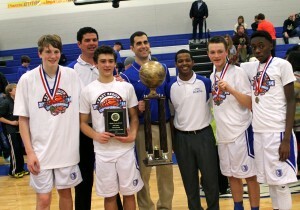 Four AMS boys players were named to the County All-Tournament Team: Garrett Golday, Tate Kolwyck , Hunter Goodman, & John Anderson. Tate Kolwyck was also selected as Tournament MVP. On February 1, the AMS boys traveled to Brighton where they lost 54-48 to a powerful Cordova MS team in the first round of the state playoffs. 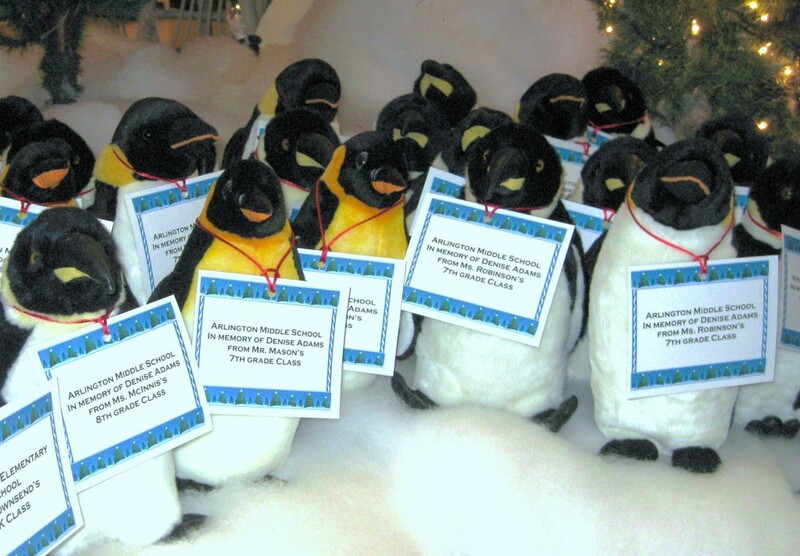 Penguins donated by students at AMS on display at the Penguin Pond at the Pink Palace museum. Photo courtesy of AMS. The Arlington Middle Student Council recently held its annual Pennies for Penguins fundraiser for LeBonheur Children’s Hospital. This year AMS dedicated this fundraiser to the memory of fallen LeBonheur employee Denise Adams, also a former AMS parent. Homeroom classes raised money during the week of November 4-8, with the hope of raising a minimum of $100 each, and $9,000 school wide. By week’s end, AMS raised $6,817 for the children of LeBonheur in the memory of Denise Adams. The homerooms that raised the most money by grade level were: 6th grade: Mrs. Smith with $221.55; 7th grade: Ms. Jeter’s homeroom with $501.56 (the overall school leader); and Mrs. Valentine in the 8th grade raised $325.17. While we fell short of our school goal of $9,000 this year, we take pride in our long-term partnership with a hospital that gives so much to the children and families of our community. Stuffed animal penguins will also be delivered to LeBonheur patients as a result of this fundraiser. Thanks to all the AMS families who donated so generously to this cause. 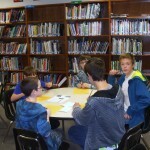 Arlington Middle School has a Leadership Group called the Big Brothers/Big Sisters Mentoring Program. 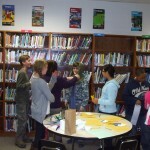 The purpose of this group is to assist 6th graders with the transition to middle school. These specially trained 7th and 8th graders are fully committed to assisting their “little brothers & little sisters” every day. These Big Brothers & Big Sisters leave their 6th period class early to help their little brothers/little sisters. The daily duties of all Big Brothers/Big Sisters is to make sure that their little brother or little sister has their homework written correctly in their agenda book, get their agenda books signed by their teachers and have the correct books in their backpacks for homework each day. 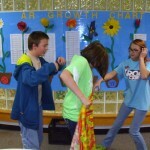 But more importantly, these Big Brothers/Big Sisters form a bond with these students and help motivate them for success. On Wednesday December 18th, these Big Brothers/Big Sisters met for a treat of donuts and hot chocolate. Thank you AMS Big Brothers & Big Sisters for your leadership and contribution to your school! 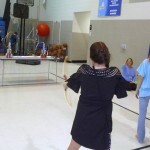 Arlington Middle School Library hosted a “Catching Fire” event on November 19 in anticipation of the upcoming movie in the popular Hunger Games series. 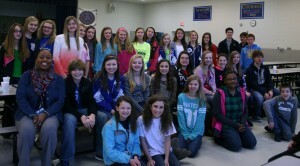 24 eager middle school students attended the evening event. 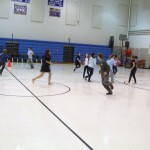 They answered trivia questions, gave Tribute makeovers to their friends, played Tracker Jacket tag and Cornucopia Challenge, and participated in training events in archery, knot tying, and obstacle course. Refreshments included berries (some of which were “poisoned” with the use of salt), flaming chip snacks, and a beautiful Catching Fire cake. 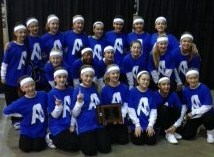 The Arlington Middle School Pom Squad attended the TSSAA state championship in Murfreesboro, TN. The squad gave two great performances in the Pom and hip hop divisions. The squad placed 4th in Pom and made AMS history by bringing home the first ever state title in dance by winning the Junior High hip hop division. Way to go girls! First Citizens National Bank is a supporter of Arlington Middle School. 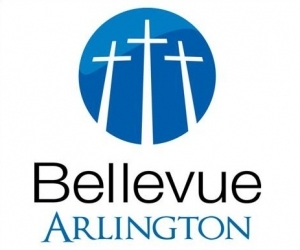 For several years they have paid the subscription on a program called QuizList that allows students to make a personalized reading list as they read to earn Accelerated Reader points. 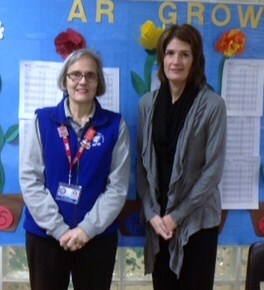 AMS Librarian Karen Haggard (left) is pictured with Chris Martin (right), from First Citizens National Bank, in front of the AMS Accelerated Reader wall in the school library.